The details of users using live chat provided by Yahoo, Windows, Skype and Gmail are readily made available to law enforcement agencies by the companies involved. Internet Relay Chat (IRC) is a well-tested protocol for Internet text messaging. Users simply install an IRC application, or connect via a webpage. Many techies, human rights advocates and hacktivists use this technology, as it is possible to chat securely. 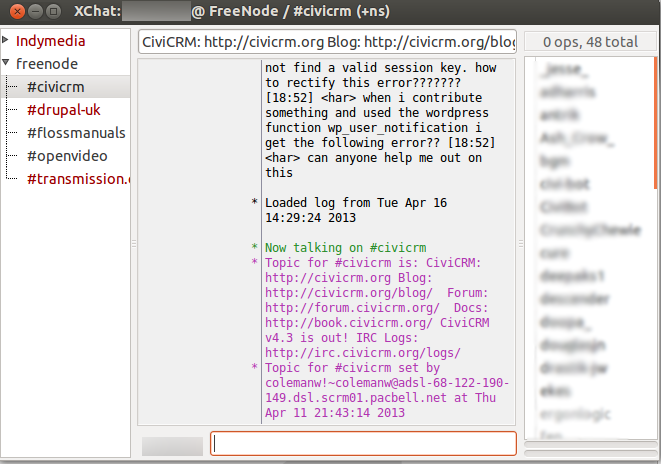 It is also possible to set up your own IRC server for added security. 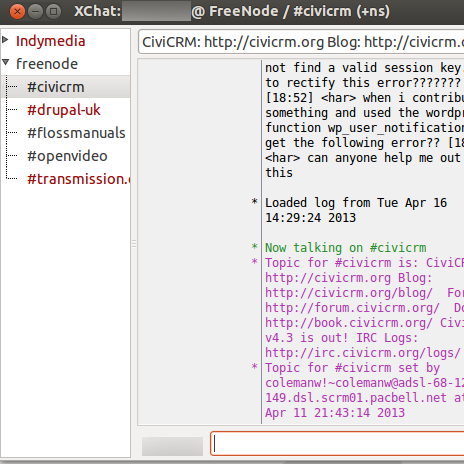 XChat is a great IRC program which comes with Ubuntu. HexChat is the Windows equivalent, and KVirc is a good solution for Mac OSX.